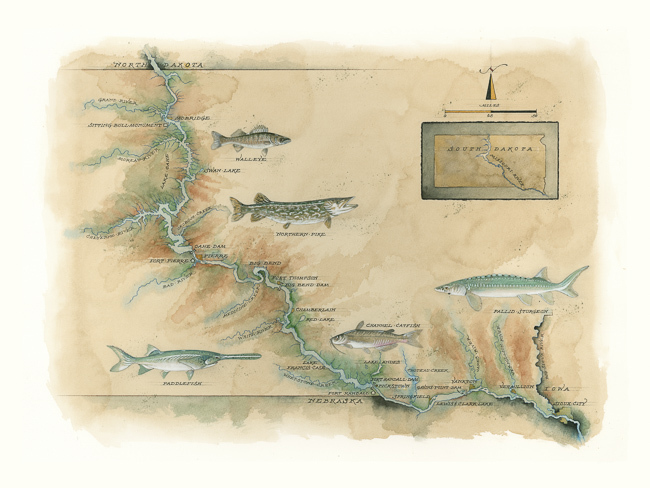 Mike Reagan, one of America's top map artists, created a beautiful watercolor of the Missouri River — a nice companion to the map of South Dakota that appears on our contents page and his Black Hills map print. Now we've created a classic 16" X 20" art print of Mike's illustration, suitable to be framed for your home or office. Sold without frame. 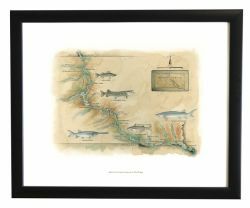 Save when you buy as a set with the South Dakota and Black Hills map prints.